LOCATION: At the intersection of Hwy 31W ( Dixie Highway) and Hwy 84 at Sonora, Hardin County, Kentucky, go north on Dixie Highway two miles. Immediately past a big white house with green shutters (the home of Jeff, Melissa and Laine Gaddie), turn left onto a dirt road which leads past the house, past a pond and to a sizeable grove of trees on the left of the roadway. The cemetery is in that grove of trees. COMMENTS: (1) Badly needs restoration. 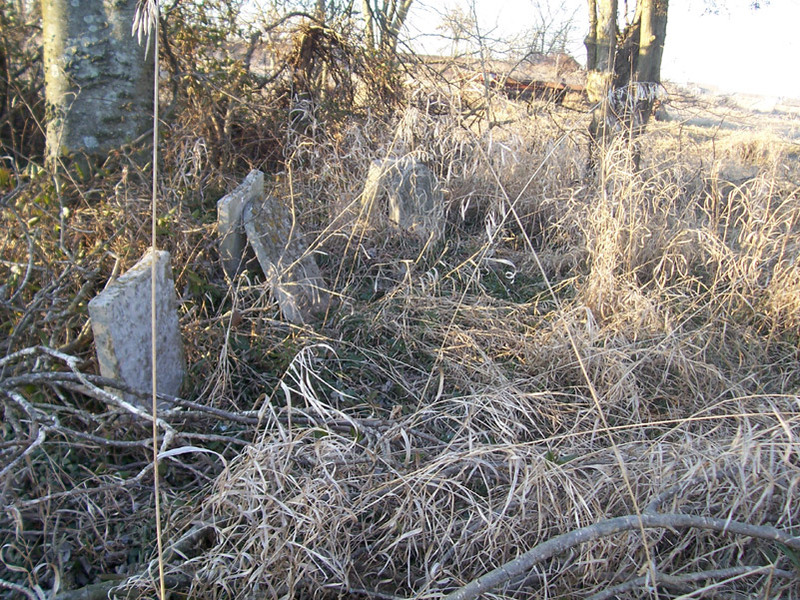 Most gravestones are toppled and broken. (2) Only one descendant of this family has been located living in Larue County. 18 Jan 1877 Married Lucinda (Hunt) Jones in KY on 24 Jun 1830. Gravestone reads: Affliction sore long time I bore physicians skill in vain, till Christ was pleased to give me ease and rid me of my pain. S/O Lewis & Frances G. (Smoot) Jones. Children: Elizabeth Ann (1835 - 1914), Mathew S. (1838 - 1861), Evaline Frances. (1840 - 1922), Louis Andrew (1843 - 1912), John Paul (1846 - 1906) & Martha Collin Jones (1853 – 1891). 2 Aug 1867 W/O John S. Jones. D/O Andrew D. & Elizabeth (Holden) Hunt. 21 Apr 1887 Married on 11 Feb 1824 to Benjamin R. Ragsdale; M/O Olivia A. (Ragsdale) Sallee (1828), John Godfrey Ragsdale (1830), & D. A. Ragsdale (1832). 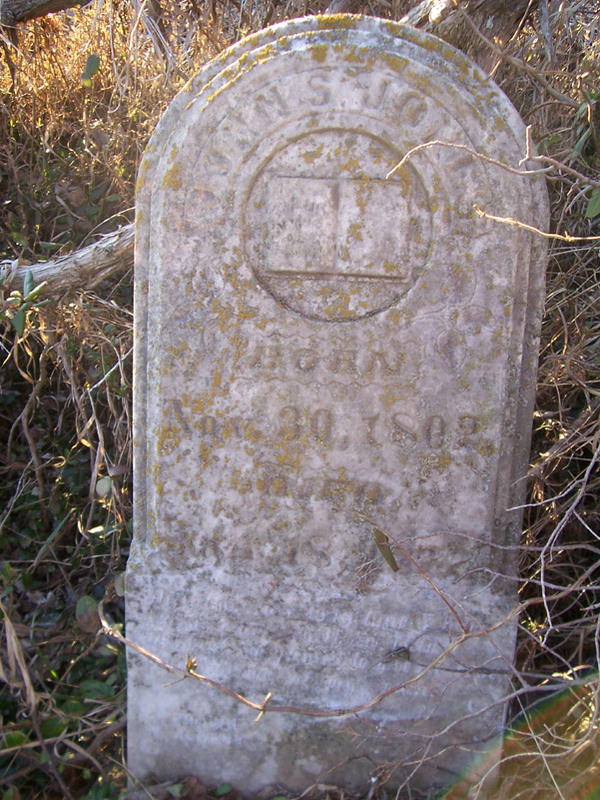 Benjamin R. (husband’s) gravestone located in Dade County, MO indicates he was b. 23 Dec 1796 and d. 13 Sep 1884. Was married in 1838 (2 nd) to Olivia ( Taylor) (b. 28 Apr 1804 in Maryland – d. Jun 1880 in Dade County, MO). Their children were Mary Elizabeth (1838) & Alonzo F. (1841). Benjamin’s parents were Godfrey and Elizabeth (Mitchell) Ragsdale. 25 Jul 1899 H/O Olivia A. (Ragsdale) Sallee; F/O Mary Emalyn Sallee who married Arthur Simmons, Thomas J. Sallee who married (1) Mary A. Stamp & (2) Ella Smith, Corneal Donaldson Sallee & Melissa Frances Sallee who married George Daniel Tabb; S/O Thomas Jefferson Sallee (1806 – 17 Aug 1864) & Ophelia P. (Cooper) Sallee (1806 - 6 Oct 1865). 19 Mar 1896 Married on 9 Jun 1857 to George Winslow Sallee. D/O Benjamin R. and Abigail Ann ( Taylor) Ragsdale. 3 Mar 1863 C IVIL WAR SOLDIER. Stone reads: Member of Co G, 2 nd Kentucky Cavalry. S/O George & Nancy Taylor. Died at age of 18 years and 8 months. 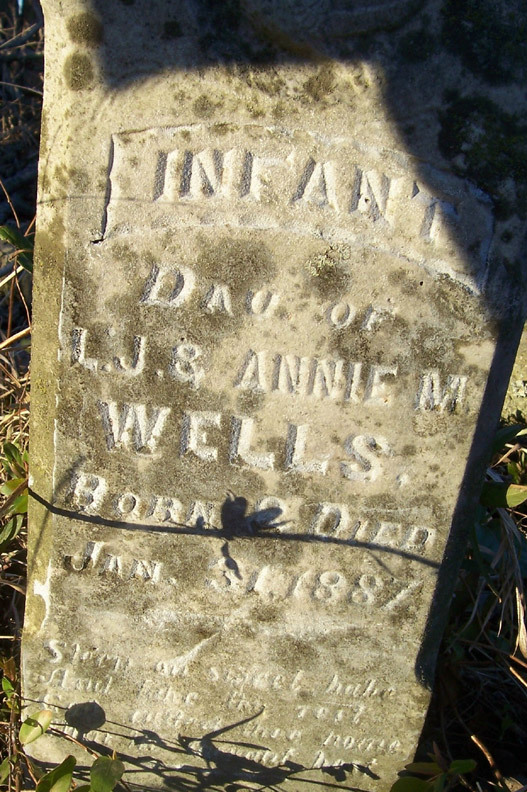 13 Jul 1876 Gravestone reads: Born in St. Mary’s County, Maryland. S/O John & Mary (Price) Taylor. Oct 1831 FIRST BURIAL. H/O Mary (Price) Taylor; F/O Samuel P. Taylor (1796 – 1875); John Taylor, Jr. (1797 – 1876); Abigail Ann ( Taylor) Ragsdale (1805 – 1887); George Taylor (1806 – 1866). 17 Mar 1849 W/O John Taylor, Sr.
26 Jul 1867 Married on 6 Apr 1832 to George Taylor. 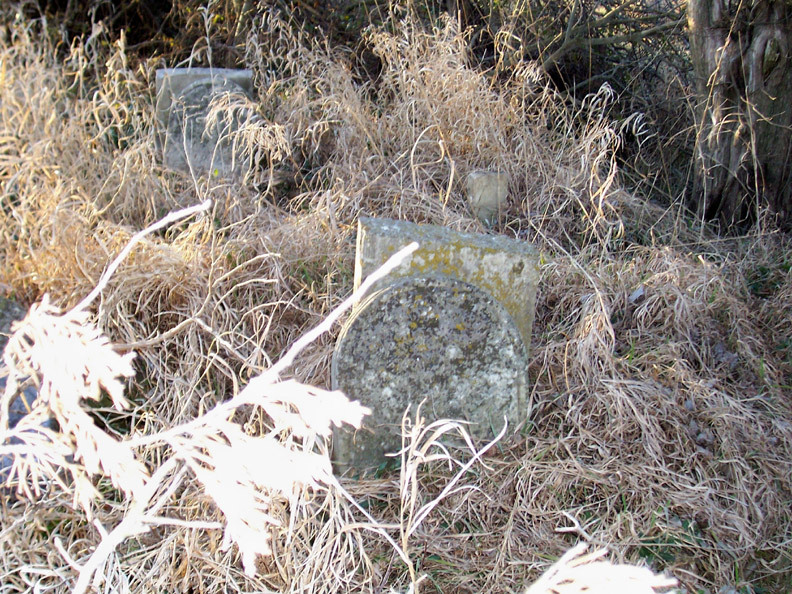 Gravestone reads: Born in Hardin County and died at age 55 years, 11 months and 20 days; D/O John & Hester (McNeil) Kennedy. 29 Oct 1845 S/O George & Nancy (Kennedy) Taylor. Died at the age of 1 year, 2 months & 27 days. 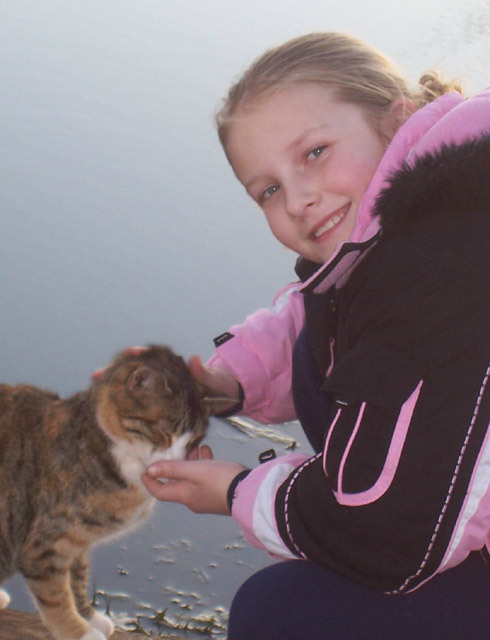 and is the one who goaded her “crazy” Grandma into taking on this one.